Police are investigating a theft of diesel from Northstone Materials in Carrickfergus. The incident occurred between noon on Saturday December 1 and Sunday December 2, at 3.30 pm, at the Larne Road premises, in Kilroot. 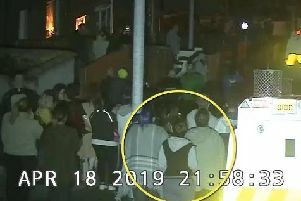 PSNI Carrickfergus is appealing to anyone who witnessed any suspicious behaviour or who may have any information regarding this incident to contact police on 101 quoting reference 152.